This is a semi-sponsored story in the sense that I got a free sample of the Triboron 2-takts koncentrat on the condition that I would test it and write about it in my blog. But I also think that this is something that would interest other two-stroke enthusiasts. 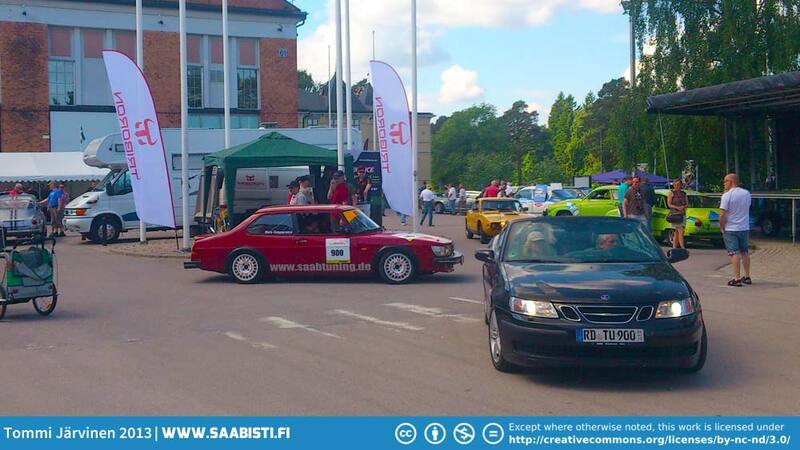 Triboron is a Swedish company and had a booth at the Saab Festival in Trollhättan this summer. They market all sorts of fuel and oil additives for racing but also everyday use. 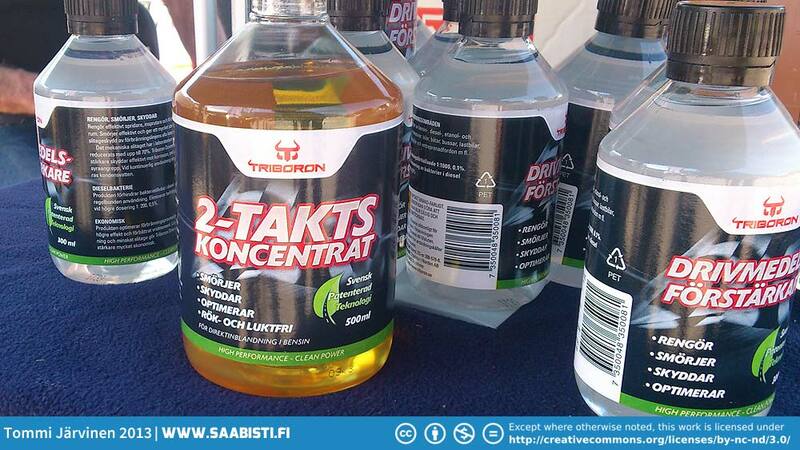 What I got to test was the Triboron 2-takts koncentrat which is a lubricant for two-stroke motors. What’s interesting about it is that it is not oil based – the lubricating agent is actually nano boron. There’s no oil in the mix at all. Triboron booth at Saab Festival in Trollhättan. Triboron två takts koncentrat. Nano boron lubrication. I talked with the company spokesman Tommy Lindholm about the Triboron lubrication. Apparently Nano boron is a very effective lubricant. It reduces friction and wear by bonding to metal surfaces and forming a low-friction coating on them. Tommy told me that unlike oil the Triboron mix burns completely leaving only the nano boron coating behind. Since no oil is needed for the engine, the burning process is a whole lot more effective and cleaner than with oil. This means that the days of the blue exhaust smoke are pretty much over. Tommy also said that by using the Triboron mix you get little more power out of the motor. I suspect this is mainly due to the fact that there’s no oil in the mix which makes the burning process more effective. Yes it does. On my two-stroke I have used 98 octane fuel with 3% two-stroke oil as recommended by Saab and also Niklas Enander from www.classicsaabracing.com. Tommy instructed me to test the Triboron with 95 octane fuel with 1% Triboron mix. Apparently this should be optimal for Saab (pre-mix! NOT for Sport/MC etc. There’s a ready-made mix available for two-stroke Saabs with oil pumps). You can start using the Triboron mix even if you still have oil mix in the tank, but as it happened I got to test it on pretty much empty tank. So I filled up with 95 octane with 1% Triboron. I was 250 kilometers from home so I was pretty sure that if the stuff was worthless the engine would surely blow out on my way home. Especially since it was a motorway and I drove around 120 km/h for the most part. But everything worked just fine. I had no problems whatsoever. After the next re-fuel I figured most of the two-stroke oil remnants had left the system. Tommy had said that the car would start better when using the Triboron mix. I cannot judge that very well since I have had no significant problems starting my car since I put in breakerless ignition. The car started as good as ever. It was also clear that the burning process was much cleaner. The carbon/oil deposits on the pistons and spark plugs started to clear away. All in all I got to test drive around 1000 kilometers with the Triboron mix. Refueling the two-stroke with nano-boron mix. And some 95 octane to go. I can only speak from the Finnish perspective. Here the cheapest two-stroke oils cost around 7 to 8 euro per litre. If you use them then using the Triboron mix will be slightly more expensive. But when compared to “regular” grade two-stroke oils (Castrol, Mobil, etc.) 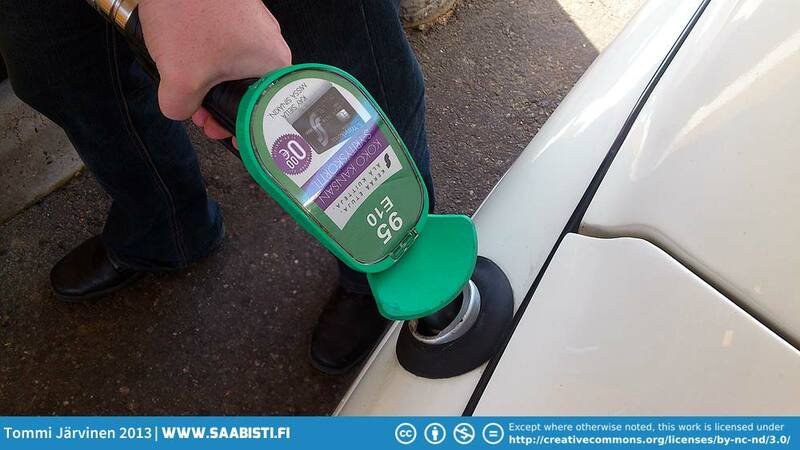 in the 10 to 15 € per litre price range, the costs are close to even. No significant difference. At the moment you can only get Triboron from Mekonomen in Finland. Triboron gave me an idea though. I have been thinking about converting one of the ’66 engines for E85 fuel (85% ethanol). But so far the cost has been a bit steep. Ethanol does not mix with normal two-stroke oil. You need a special oil designed to mix with it. 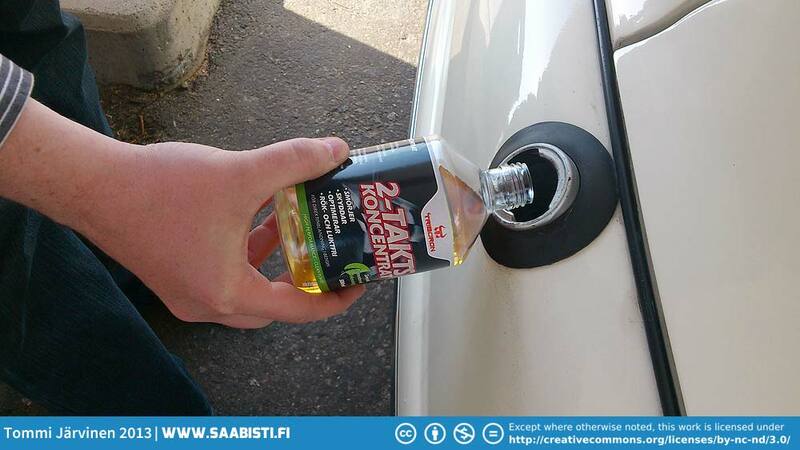 Most of these oils are for racing purposes and can easily cost 40 € per liter. That’s way too expensive for my taste. Especially since with E85 the fuel consumption would probably increase as much as 30%. But Triboron mixes with ethanol and could be used with E85 also. That would reduce the cost of driving when compared to racing oil. It wouldn’t be cheap but not prohibitively expensive either. The engine would need a little work also. Mainly re-jetting for E85. But I already have the lambda gauge which would make it easier to figure out the correct jetting. So this is definitely something I would like to do if I ever have the time to put into it. I am truly impressed with Triboron even though it initially felt a bit suspect. If you feel you don’t like the smoking and would like an easier to start stroker you may want to give it a try. In Sweden they use Triboron on Saab-racers and speedboats, so I’m pretty convinced it’s safe to use. Of course my test was only 1000 kilometers, but I had no problems during that period. For my self – I rather like my two-stroke to smoke, smell and make a loud noise. A tasteless, smokeless bullnose Saab just doesn’t feel right. So I’ll probably stick with oil. But the E85 conversion is definitely a possibility.